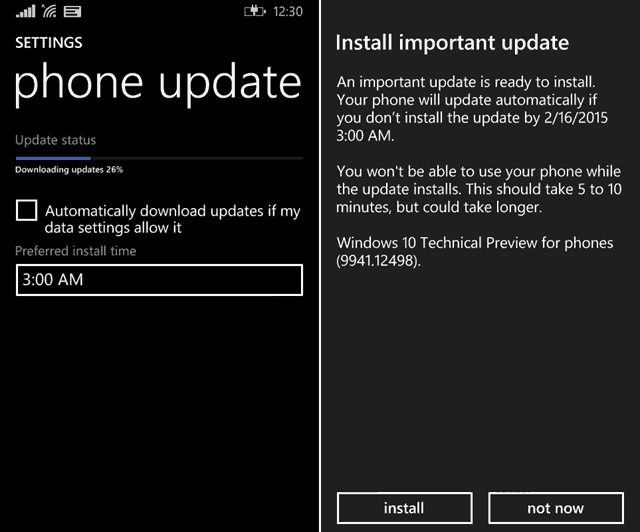 Microsoft today released the first beta of Windows Phone 10, and you can get in on the action. Here’s a look at what you need, which phones are supported. 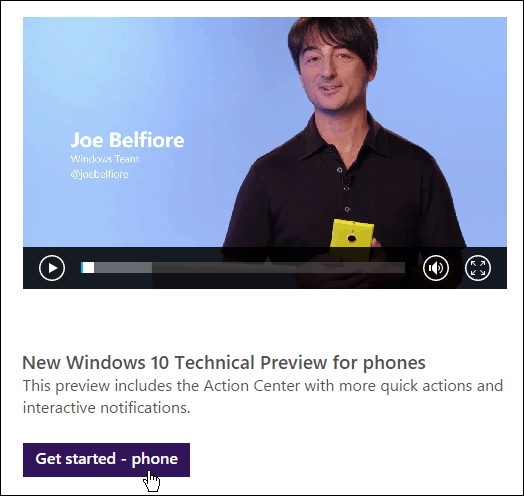 Microsoft today released the first technical preview of Windows 10 for phones, and you can get in on the action. Here’s a look at what you need, which phones are supported, and how to install it. 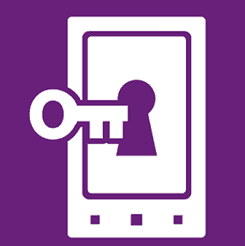 Note: before you get started, you should know that if something does go wrong with your install of the preview, you can recover your phone back to it’s Windows Phone 8.1 glory with the Windows Phone Recovery Tool — here’s the direct link. The first thing you will need is a qualifying Lumia Windows Phone which, at the time of this writing, are the Lumia 630, Lumia 635, Lumia 636, Lumia 638, Lumia 730, and Lumia 830. Provided you have one of those qualifying Lumia phones, you will need to sign up for the Windows Insider program, which is similar to the insider program for Windows 10 Technical Preview for the PC. Then download the Windows Insider app on your phone and launch it. From the first screen select Get preview builds and then decide with build track you want to be on. These are pretty self-explanatory. 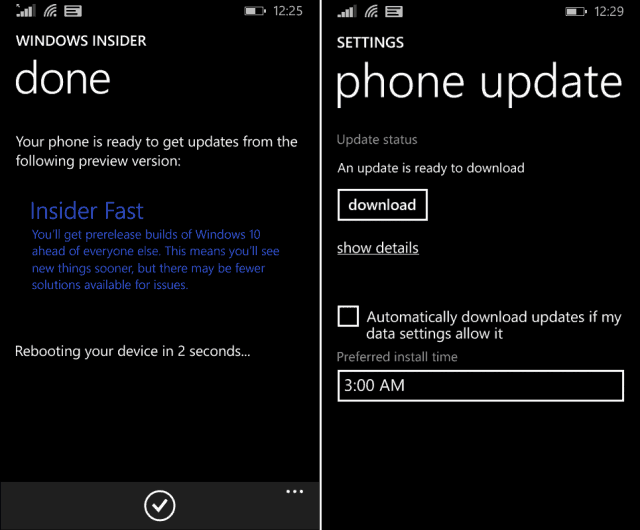 With Insider Fast you will get new updates more quickly, but they can be more buggy too. 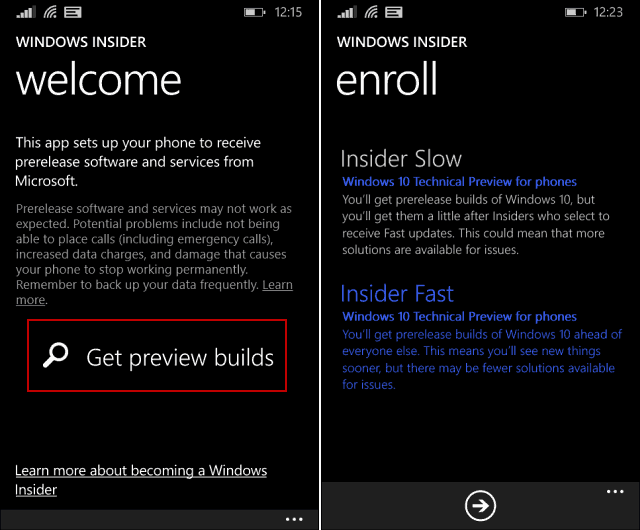 Insider Slow will give you builds after Fast users get theirs, but they’ll be less buggy. After confirming the build track you want to be on, you phone will reboot. Then when you come back, go to Settings > Phone Update > Check for Updates and tap the Download button after it finds it. Now simply kick back and wait while the update downloads, and after it has you just need to kick off the installation. You phone will reboot a few times while everything is installed, and data is migrated. I updated the Lumia 635 and it took about a half hour from beginning to end. It’s worth noting that you will need to be connected to Wi-Fi and have your phone charger plugged in during the process. After everything is complete you can start enjoying the new features included in Windows 10 Technical Preview for phones. Why Microsoft just doesn’t call it Windows Phone 10 preview or Windows 10 mobile preview I have no idea, then Microsoft has never been known for coming up with good names for its products. But I digress…here is a look at a couple of screenshots of how Microsoft’s new mobile OS will look and what you can expect. 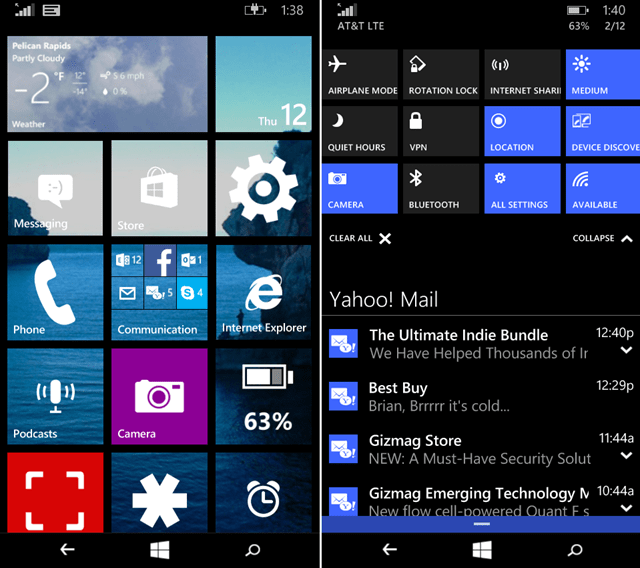 The tiles on the home screen and their icons are larger and have a flatter design. Also, the Action Center contains even more quick actions with up to three rows. I just got started with this today as it was released, and will be digging into it a lot more in the coming days. 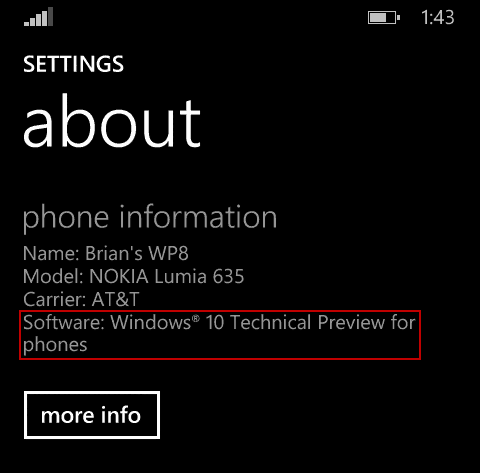 Are you using the Windows Phone 10 preview? What are you favorite features, or things you’re not happy with? Leave a comment and tell us about them. Hi, well I had windows phone 10 technical preview but for no reason I just reset my phone “lumia 920”, and now I want so badly to install it again but I could get I dont know whats the problem I did everything to install the second time but no luck. if there is anything please help.